I've had a very welcome and perfect introduction to the writing of Paul Bailey thanks to a regular reader of this blog who kindly sent me a parcel of Paul's books. Old Soldiers was one of my choices for our War Reading themed evening at Endsleigh last week and my original thoughts on that book are here. The book still resonates in my mind now, its depth took me completely by surprise and I think that makes it an excellent introduction to Paul Bailey's gentle but deeply perceptive writing. Now I've read Paul's first novel At the Jerusalem in this handsome little Bloomsbury Classics edition, very must-have. First published in 1967 when Paul was actually thirty, but written when he was twenty-eight. This makes it a very remarkable book indeed. 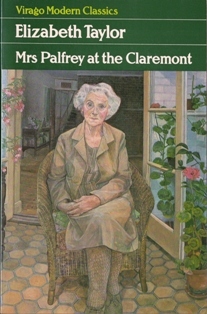 Anyone who has read Elizabeth Taylor's Mrs Palfrey at the Claremont but who hasn't read this one may want to do so quite quickly. It was the reviews of At the Jerusalem that prompted Elizabeth Taylor to write her own book and the character of Ludovic Myers is based on her observations of Paul working in Harrods.Elizabeth had expected to find someone a "trifle wizened" and must have been bemused and surprised when she realised how young he was. Deposited by her family in a nursing home, Faith Gadny struggles to come to terms with this slow and steady decline towards the end of her life. 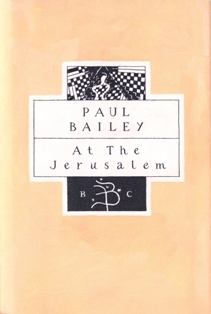 The affinity with a prison is not lost on Paul Bailey and he points up so much that is institutional about The Jerusalem that you begin to think prison might be the better option.There are certain periods in a person's life when they seem to become open territory for anyone to make a comment which they may otherwise keep to themselves. I think pregnancy is one for sure. Suddenly everyone has the inalienable right to tell a woman she looks well / tired / huge / unrecognisable / pale and poor Mrs Gadny at the opposite end of the spectrum suffers deeply humiliating moments when her privacy is invaded mercilessly because the system demands it. Her fellow detainees are equally beautifully drawn making this another of those books that stays in the mind long after the final page, I can visualise every one of the characters from Paul Bailey's fine attention to detail drawn up in so few words. It's quite an unnerving book to read in many respects, because for someone so young Paul Bailey's powers of observation are acutely and uncannily mature and unremittingly accurate. 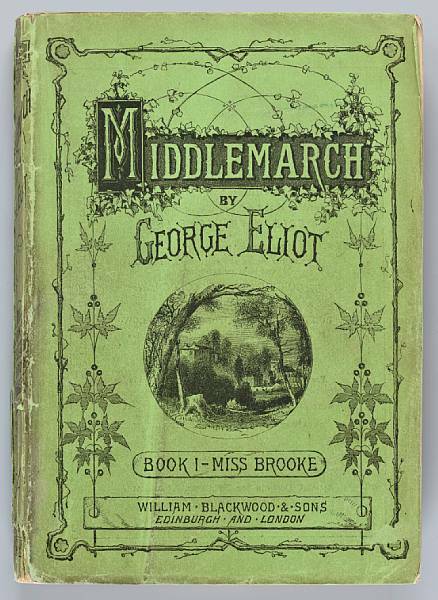 Bearing in mind that this was written in the pre does-he-take-sugar era he has homed in on on the saddest aspects of the care of the elderly and, though I'm sure times have changed, the book still has huge relevance.Paul must have watched and listened very carefully because the dialogue in At the Jerusalem is peerless, even down to the episodes of rambling thought which I was about to accredit to the elderly per se, but actually, as if it isn't obvious, I'm a rambling thought person and it won't be that long before I start recounting it all out loud I'm sure. Faith Gadney must join the ranks of fictional old ladies who matter and deserve to be remembered along with Laura Palfrey and Hagar Shipley, in fact, put the three of them in a home together and expect a hunger strike over the diet of chewy meat and junket quickly followed by a break out, possibly along a tunnel they've been digging with their crochet hooks. Perhaps a dash too much Count of Monte Cristo for me of late?